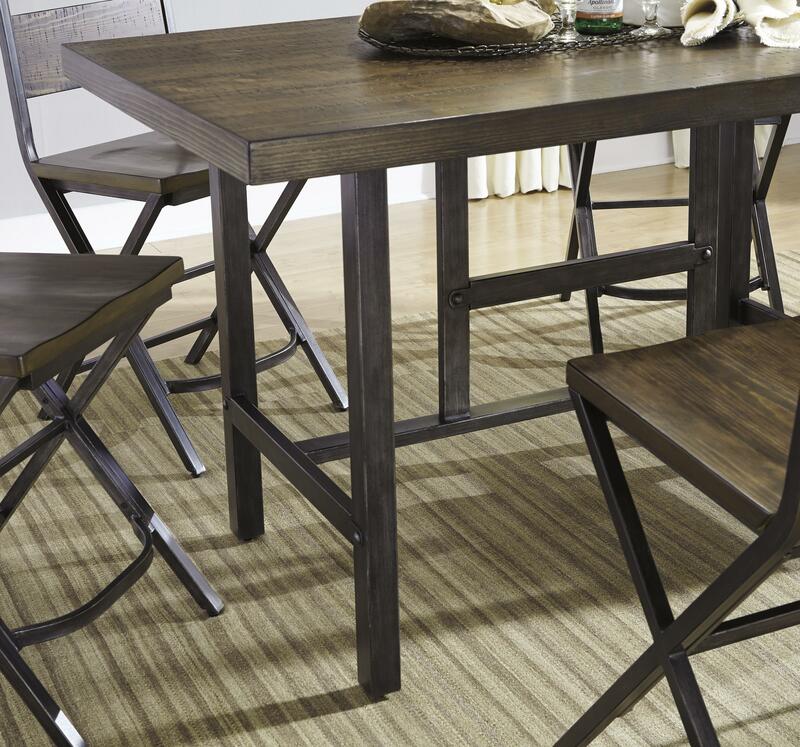 Add a vintage style feel to your dining area with this rectangular counter height dining room table. 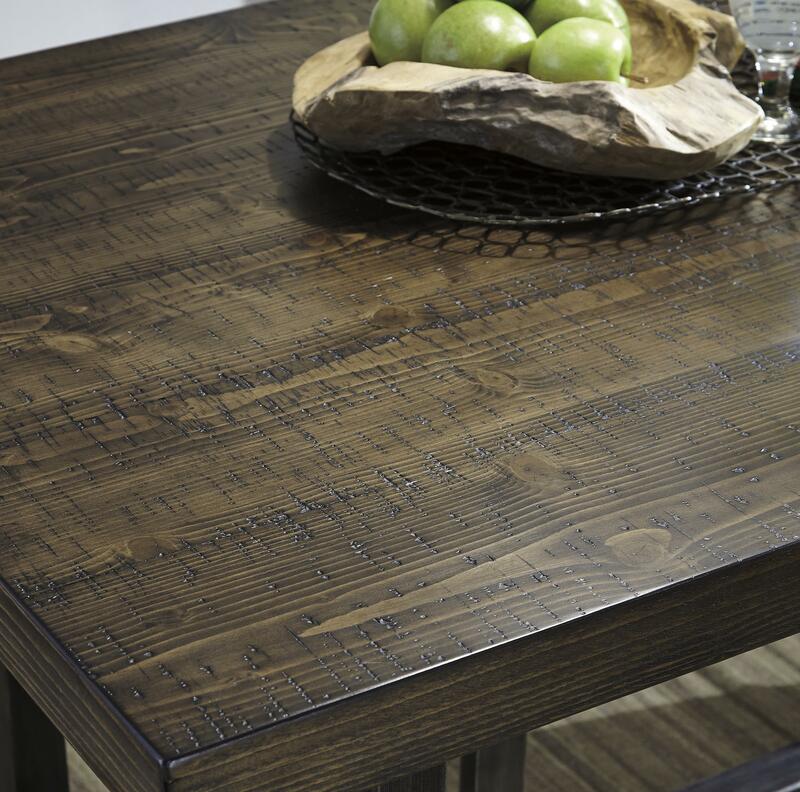 This piece is composed of pine veneers and hardwood solids, finished with a medium brown reclaimed look. 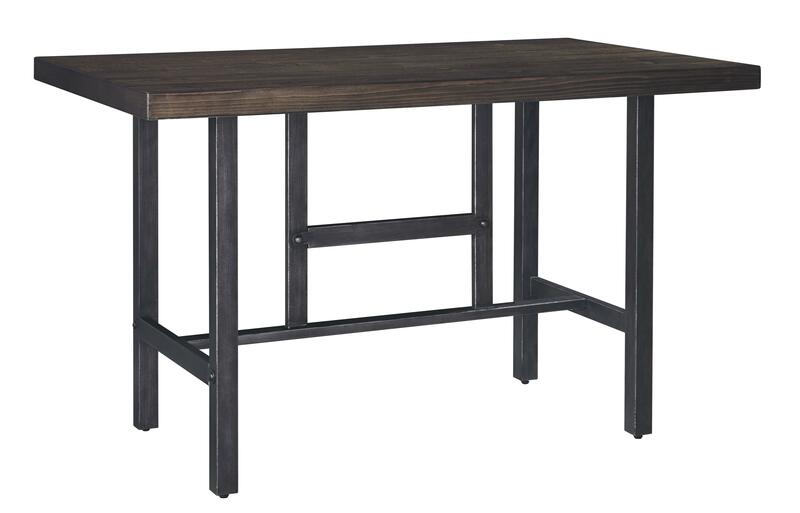 The table's base features metal squared legs with a detailed stretcher, next the metal has been finished with a metallic brush effect and nail head detailing for a vintage impression. 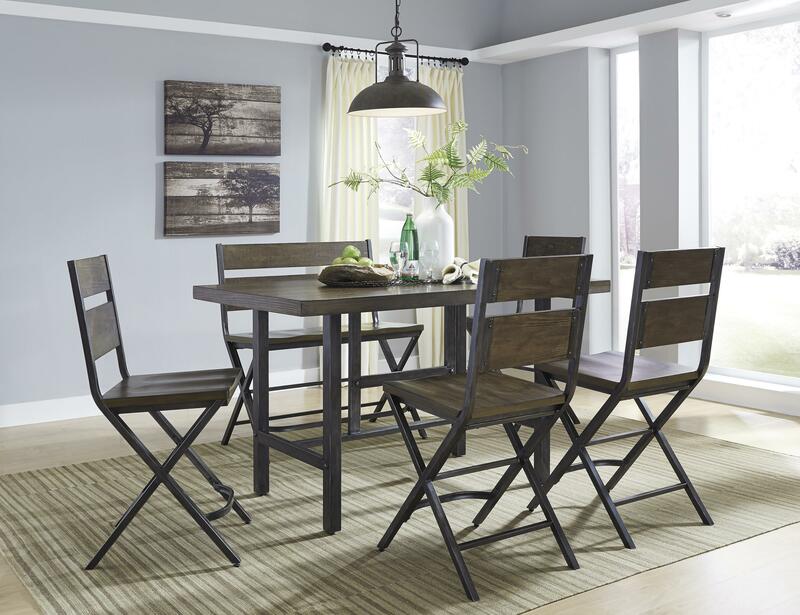 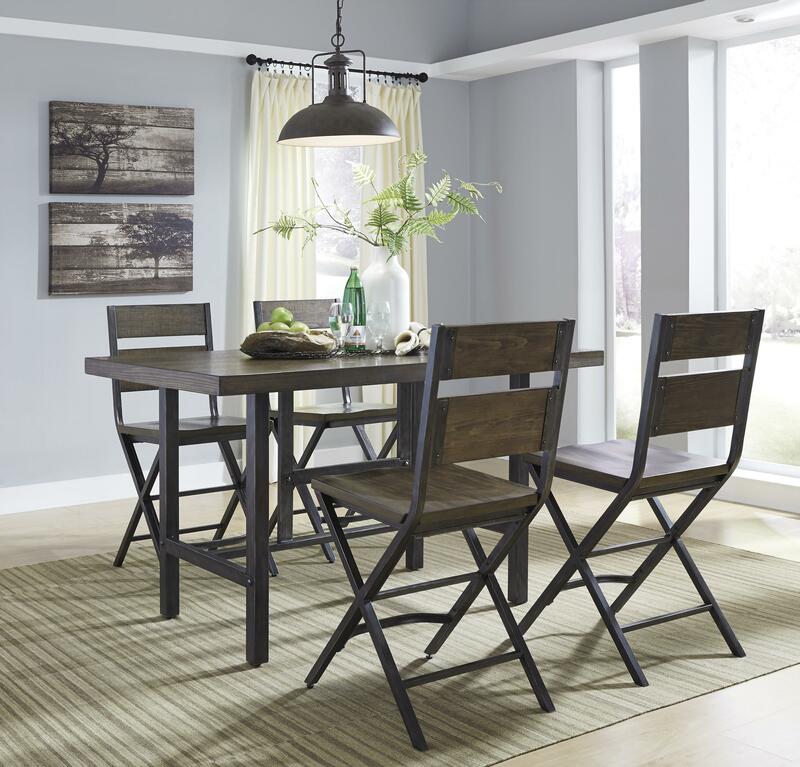 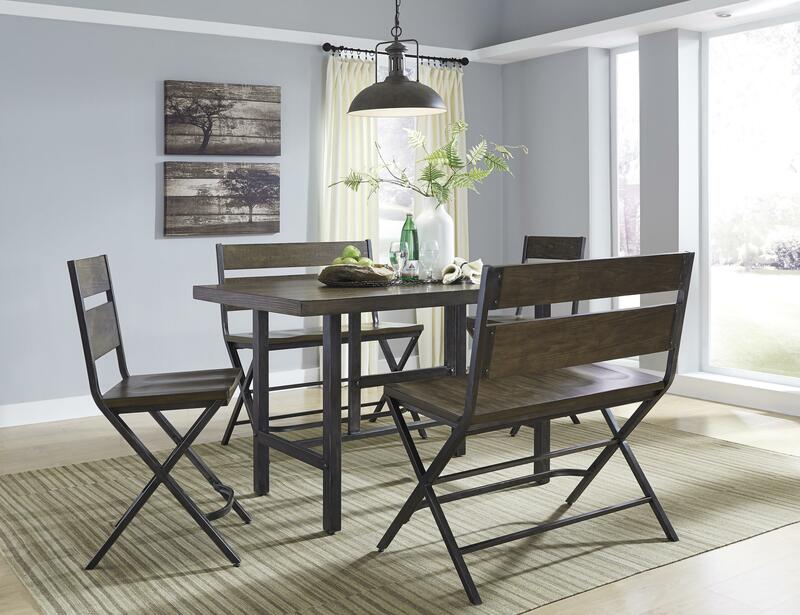 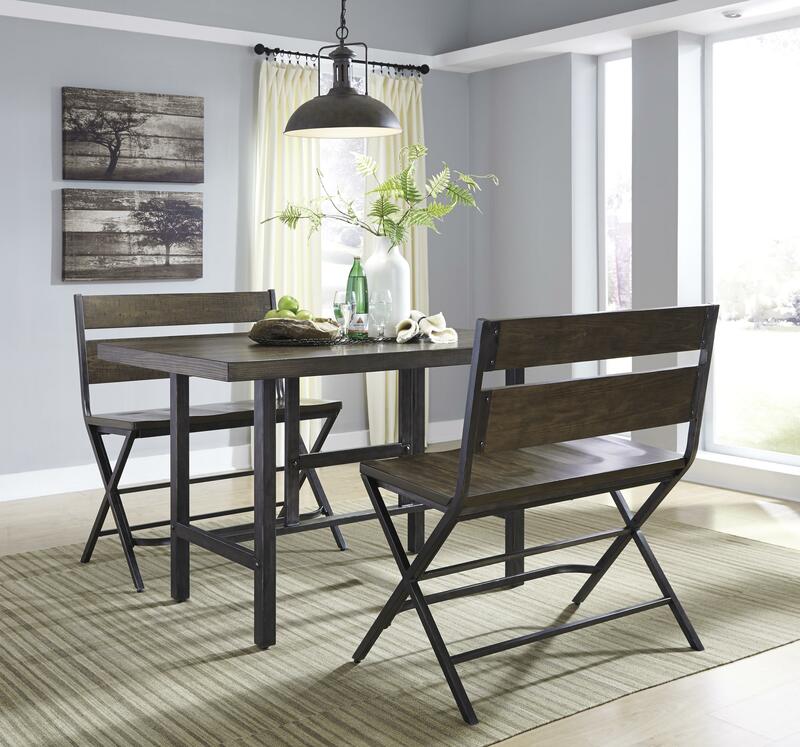 Gather around and enjoy a meal at this beautifully distressed table.